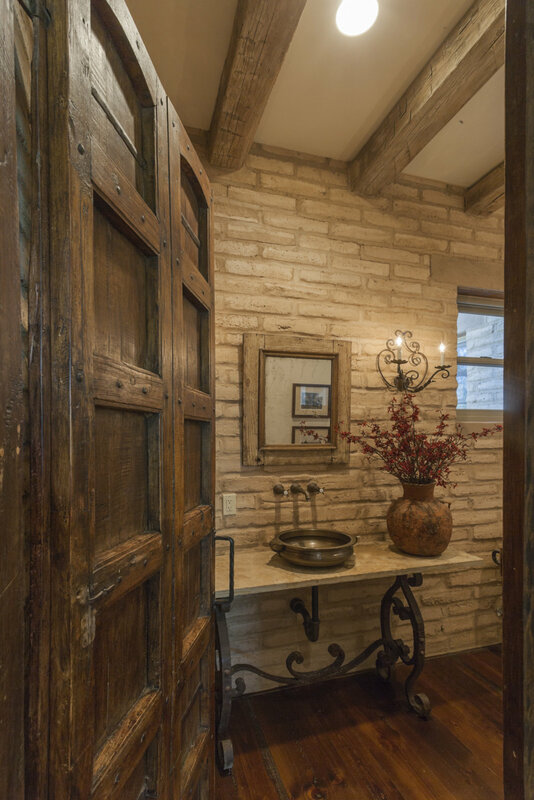 Interior half bath designed with mud adobe walls, antique door, reclaimed beams, antique iron vanity base, limestone slab counter and old copper vessel sink. 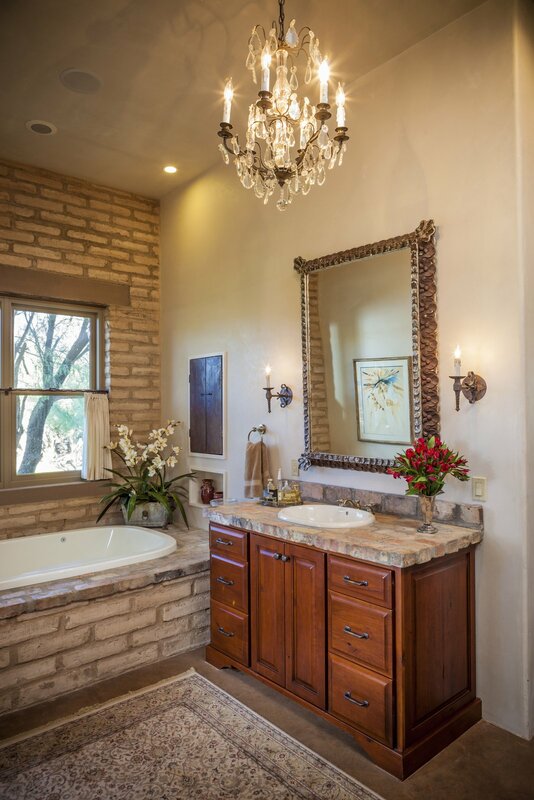 Fully remodeled bath with aged concrete floor, drop in Jacuzzi tub, antique door on barn track and tumbled marble tile throughout. 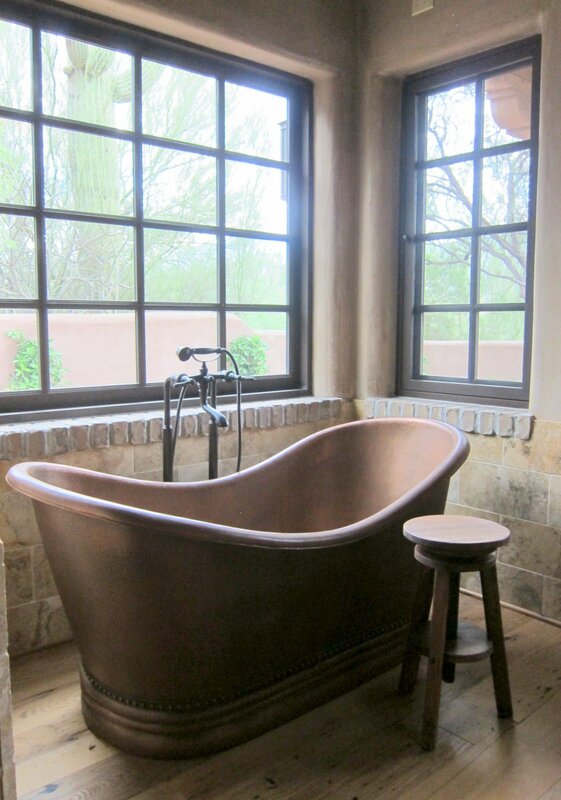 Remodeled bay window alcove in the bathroom designed for a copper soaking tub, integral color plaster walls and antique chestnut floor. 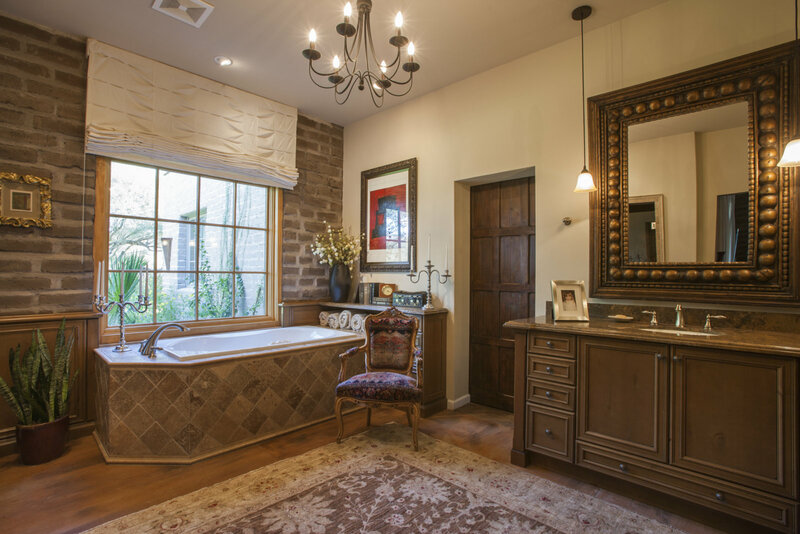 Reclaimed brick wall and tub deck, antique clay floor tile counters, colored concrete floor and new stained wood cabinetry. 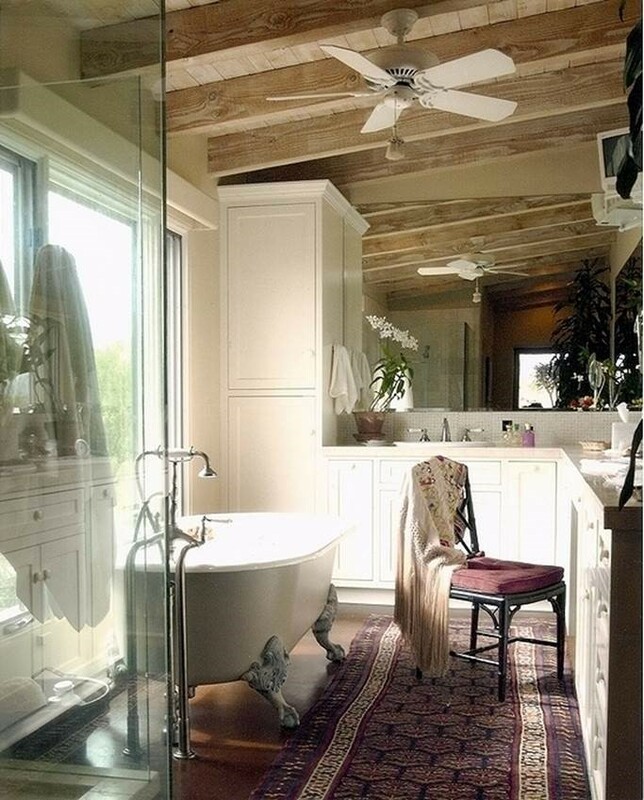 Remodeled bathroom with large window, antique tub on legs, colored concrete floor, sand blasted ceiling beams and deck, new white painted cabinetry and all glass shower stall. Contemporary, new construction, bath with one natural mortared rock wall and suspended wood cabinets, integral Cheng concrete sinks and counter and concrete floor.